Many people have heard of beekeeping, but are not exactly sure what the activity entails. If you are interested in becoming a beekeeper and maintaining your own beehive, or simply want to learn more about this activity, continue reading for information on beekeeping for beginners. What Are the Basics of Beekeeping for Beginners? What Is Needed to Start Keeping Bees? The Bee Season: When Is the Best Time to Raise Bees? Here or There: Where Can I Set the Hive? The Hive: Build or Buy? To Bee or Not to Bee: Where To Get Them? The Gears: What Do I Need? How to Install the Bees in the Hive? How Many Hives Can I Set Up at Once? How Big Should the Hives Be? How Far Should the Hives Be? Beekeeping, also known as "apiary," is the practice of maintaining and caring for a group of bees called a "hive". Beekeepers are called apiarists and they do a lot of things: raising the bees, monitoring their hives, maintaining their environment, and making sure the bees are eating and breeding successfully. There are a number of reasons to keep bees. The most common is to collect honey. Many beekeepers take great pride in the ability to harvest honey from their hives. Many of these beekeepers will take great pains to control the plants the bees have access to in order to influence the flavor and quality of the honey. Some beekeepers sell the honey collected from the hives, which can make a considerable profit. Other beekeepers manage hives to promote pollination for crops. Bees feed on the nectars of flowers, making them great pollination agents. This is why many owners of fruit-bearing trees or shrubs keep beehives nearby to help with the tricky process of pollination. Beekeeping for beginners and experts can yield many amazing benefits that should encourage aspiring beekeepers in their efforts. Honey is a great natural sweetener chock-full of nutrients and it doesn't spoil. But 100% pure honey can be expensive and hard to get. Thankfully, with your own honey-makers nearby, you can get bottles of honey for free. Just keep these swarms busy and happy and you can get that sweet stuff all the time. Beeswax has many medicinal and practical uses. Royal jelly is another product found in hives that is used for health reasons. Having these bees buzzing around is good news for your flowers as these winged workers are great for pollination. Flowers stay healthy while fruit trees stay bountiful. Bees require little effort from you once they have settled comfortably in their hives. All you need is 30 minutes for upkeep and maybe an hour when it's honey harvest time. Keeping bees is not unlike keeping pets - they keep your mind occupied and relaxed while the daily routine can be meditative. Plus harvesting the products feels gratifying! Keeping honeybees can keep these gentle creatures from extinction, so beekeeping helps you save the environment in your own ways. 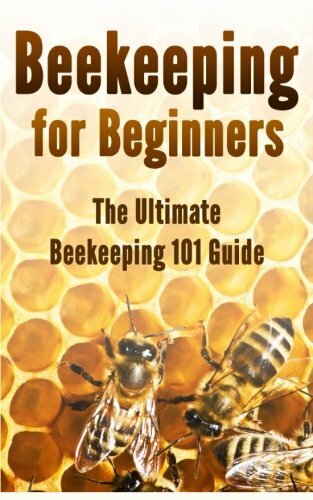 Before getting started, it is important to know the basics of beekeeping for beginners. Why do I want to raise bees? Ask yourself if it is for personal use or as a small-scale business. Where can I find bees to raise? You must know where to source the insects. Where can I find protective gear? Bee stings hurt, so protective gear and a way to keep them tame is a must. Where can I buy beekeeping supplies? This activity requires maintenance and materials so a nearby supply store is always good. Is it legal to keep bees in my place of residence? Check the local laws regarding raising bees in your residential area. Can I sustain this activity for a long time? Ask yourself if you intend to make it a long-term commitment or a short-term hobby. Beekeeping might be a hobby to some people, but it the fact remains that it is not an easy activity. It requires not only financial investments but also time, attention, and patience. Lots of it. If you are a new beekeeper and want to start your own hive, worry not, because this guide will help you start your own apiary. In no time, your space will be buzzing with good vibes from our friendly honey makers. Read on to find out more about beekeeping for beginners. Honeybees are not fickle creatures, but the weather does affect their behavior. Their level of activity depends on the climate and location they are in. Cold weather may keep them huddled in their hives while more warm and breezy weather is perfect to go out and play. Knowing the season is crucial in beekeeping for beginners. Spring is the best time to raise bees because the weather is perfect: the temperature is just right and the breeze blows gently. Spring is the time when flowers begin to bloom, so the bees have something to restock their food supply. Having more food means the queen will lay more eggs and raise more workers. Within months, your hive will be self-sufficient. As the weather becomes hotter during summer, the worker bees will become more active in collecting pollen and nectar. The drones will also be busy tending to the queen and her eggs. The population of your swarm will have grown by this time; be wary of predators who are attracted by your hive. Summer is also the best time to start harvesting the honey in the comb. By fall, you probably will have harvested the hive's honey but make sure you leave something for the hive to prepare them for the upcoming cold months. The population will see a decrease as the drones get dismissed by the queen. If the food becomes inadequate, make sure you have a supply of sugar water/syrup as an emergency food supply. Fall is also the time when the bees will huddle together and be less active. Winter is not a good time to start beekeeping. The weather will be too cold for the bees to go out and find food, so you will have to feed them yourself to help the hive survive. Also, during this season, the bees will be huddled around the queen for warmth, so no activity will happen. If you choose to start during winter, make sure you have a backup food supply. The ideal time for beekeeping for beginners is around the spring months. The frost should have melted by this time and the flowers and plants will start blooming. If you live in the subtropical regions like Florida, anytime is good except for hurricane season. The first thing you must do is check your local laws regarding beekeeping. Depending on where you live, some cities prohibit or regulate beekeeping in urban residential areas. If you live in the suburbs or in rural areas, you have space and will most likely have more lenient laws. For more information, you can consult the USDA website. Having addressed the potential legal obstacles, it is time to determine the place to set up your hive. While beehives don't take up a lot of space, it is best to keep them a good distance away from people. Bees are generally docile, but they can get agitated and you don't want neighbors to complain about stinging bees. In urban areas with limited space, the rooftop is the only space to set the hive. Abandoned buildings and parks are also good, but you might need authorization from the authorities. 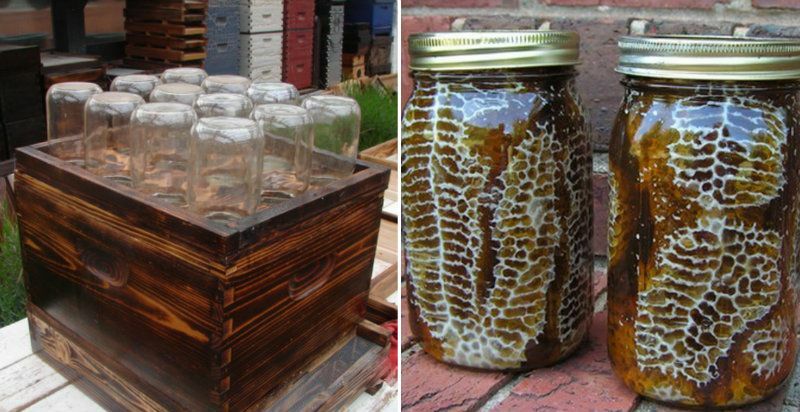 If you have a backyard, place the beehive near your garden. 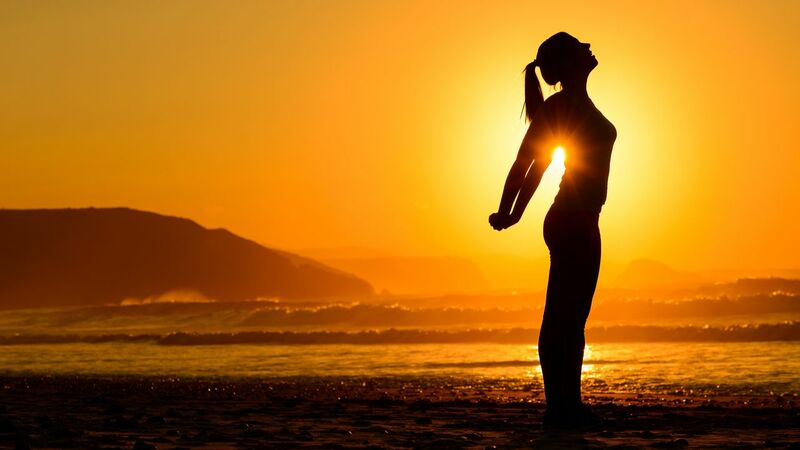 For the beehive itself, position the beehive entrance facing the sun. The entrance must also be away from strong winds. Make sure the hive gets enough shade during summer and sun during winter months (such as under a deciduous tree). The hive must also be raised few feet above the ground to keep it away from predators and wet ground. Beekeeping for beginners is always a matter of personal considerations, such as buying or building your hive. You can buy fully assembled (or modular) bee hives from online and offline suppliers. Some suppliers also sell blueprints or building materials so make sure to check out their offers. This route tends to be more expensive, but you save time and effort which you can focus instead on tending to the bees. If you plan to build your own, there are many DIY guides online. You can check this link for a sample guide. Generally, you need to build these parts: the box, the stand, and the bottom. Sturdy construction wood, like cedar or pine, is preferred. There are two ways to get bees for your own hive: natural, or supplied. Natural ways of obtaining bees include swarming and bait & trap. Swarming is done by attracting a "swarm", or a group of honeybees that broke away from their original colonies to start a new hive. This swarm can be captured to populate an empty or less populated hive. These bees tend to stay not too far from their original hive. The best way to get swarms is to contact your local insect control department for updates regarding stray swarms. Another way to get bees is to buy them from breeders. They often sell them in "packages", or shoebox-sized packets that contain a small brood with queen and workers. Breeders are either dedicated breeders or beekeepers with extra hives to sell. The best way is to check your local beekeeping group's website or local beekeeping stores. You can't get honey without getting stung, they said. This saying is true in a very literal sense. Bees are docile creatures especially when they are busy with their daily activities. But they can get into a stinging frenzy when disturbed, threatened, agitated, or hungry. Their stings hurt and may cause extreme allergic reactions to some people, so utmost caution must be exercised. Hive tool - a multi-purpose tool for prying open covers, dividers, frames, etc. CAUTION: Bee stings can cause anaphylactic shock so make sure you and those around you don't have allergies to bee stings before setting up your hive. You have the bees. You have the hive built. Now it's time to put your busybodies in their new home. Installing bees isn't as hard as it sounds to be, but it takes extra care and patience. To install bees in their hives, follow these directions. Put all the top bars on the hive. If it's a package of bees, the queen comes in a separate cage. Place the package on top of the hive until the bees settle down. Put the queen in the cage with the other bees by suspending the cage between the 3rd and 4th bars. If you are installing a swarm, move the swarm carefully near the opening. Put the bars back on the hive. Replace the last bar after all the bees have gone inside the hive. Wait until the bees find the queen before releasing her to her hive. After 7 days, move the false-back backward, return the spacers, and move the combs 3 bars from the entrance. For beginners, one hive is the ideal minimum. Only increase the hives when you honed the skills in managing the bees. These skills include cleaning, feeding, smoking, replacing the swarm, checking the queen, and collecting honey. Increase the hive counts gradually as many as your resources will allow you to have. Remember, every colony has a different personality so be careful not to mix the bees together. It also means that the colonies differ in honey production speed, building combs, temperament, queen lifespan, etc. The size of the hive depends on the size of the swarm. Other factors to consider is the space you have for the hive and your ability to manage. An 8-frame Langstroth hive is good for starters. At 9 x 12 inches, it is wide enough to hold a small swarm. Other options include 10-frame and 9-frame hives. Always consult with a bee supplier shop before you decide on the size of the hive. It is not a problem to put the hives together, about 1-2 meters apart. The bees tend to keep to themselves and not bother with their neighbors. "Smell distance" - when two colonies are close they get used to each other's scent, which may result in mixing and worse: robbing each other, disease transfer, etc. Honey is the sweet reward for every successful beekeeping for beginners. This liquid gold has many amazing uses and benefits. You must harvest honey during late summer to fall because this is when the bees start to slow down and produce less honey. Their stock will be used as their winter food so make sure to collect before the winter onset so you don't lose the honey to the bees. Collecting honey is a simple process. Take out the frame with the honeycomb. Remove any stray bees from the comb. Uncap or scrape off the beeswax on top of the comb. Put the comb into the honey extractor tool. Filter the honey and put into a bottle. The beeswax you collected from each honey harvest is a good product to use or sell. It can be used as a sealant, a water repellant, or an ointment. The royal jelly is the food for future queens and it has antibacterial and antioxidant properties. It is often called a "complete food" for the number of vitamins and minerals it contains. 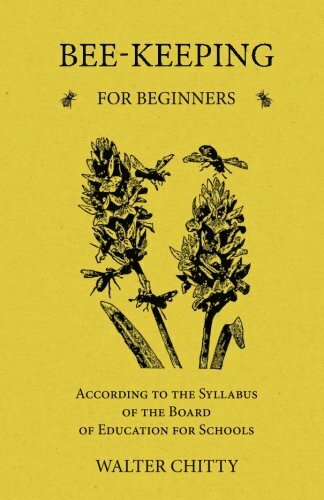 Beekeeping for beginners is not as daunting as it seems to be. Bees may require less maintenance but, like most hobbies, beekeeping takes time, effort, money, and attention to get the most out of your buzzing busybodies. It takes time to master the skills of beekeeping. It also takes dedication to be a full-time beekeeper. From setting up the hive to installing the swarm, from feeding the bees to harvesting honey, beekeeping requires patience and attention to details. But in the end, the sweet taste of honey is worth the wait.